The Dermaquest SheerZinc SPF 30 – Tinted Sunscreen provides protection against the potentially harmful UVB and UVA sun rays. You can be assured you are getting the best protection possible with a sunscreen that works on beautifying your skin. Dermaquest provides exceptional product lines for anti-aging, skin cleansing, repairing skin conditions such as spots and pigmentation, and a full line of very high-quality skin protection products. One of these is the Dermaquest SheerZinc SPF 30 – Tinted Sunscreen, which is reviewed below. The Dermaquest SheerZinc SPF 30 – Tinted Sunscreen comes packed in a 2-ounce high-performance container, ready to provide a physical block to the harmful sun's rays with its main component Zinc Oxide providing the power for performance. Most medical practitioners will suggest that an SPF of greater than 15 should be used all year round, and Zinc Oxide is one of the premiere sun blocks to be used. An SPF reading on sunscreen does not tell the whole story. Every day, we are exposed to two types of sun’s rays. There are the UVB rays, which the SPF rating indicates the quality of blocking, and there are the UVA rays, which there is no adequate measurement of protection. One of the most notable medical sites suggests that the only way to know if you are protected from UVA rays is by reading the label. If the sunscreen product includes Zinc Oxide, then there is protection from the UVA rays. 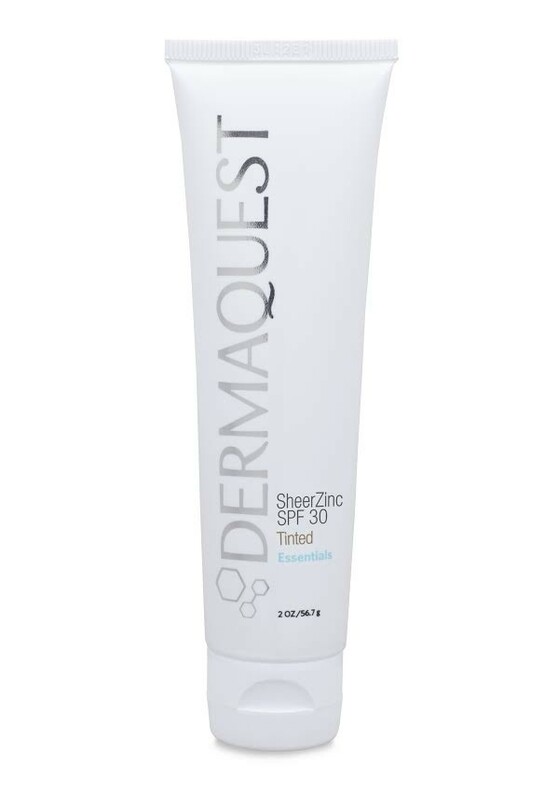 The Dermaquest SheerZinc SPF 30 – Tinted Sunscreen is mineral based, which works to sooth and heal the skin while providing excellent protection so there less chance of sun damage to your skin.